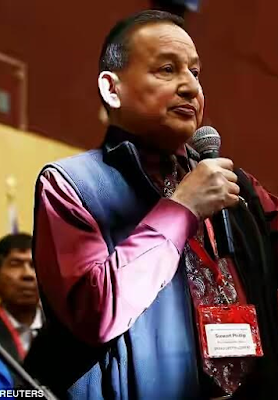 Grand Chief Stewart Phillip, Chairman and Spokesperson of the Okanagan Nation Alliance was scheduled to appear on stage with the Duke and Duchess of Cambridge at the tenth anniversary celebrations of the University of British Columbia but he gave the event a pass at the last minute. Chief Jonathan Kruger from the local Penticton Indian Band replaced him. A spokesman for the university could not comment on why Grand Chief Phillip had pulled out. Just a day earlier, the leader of 115 First Nation tribes in British Columbia known as the Union of BC Chiefs, declined to turn up at historic reconciliation ceremony with the royals at Government House in Victoria in protest at government treatment of his people.